Lucy Yang has the latest developments. FLATIRON, Manhattan (WABC) -- The most holy day on the Orthodox calendar ended in the most heartbreaking as flames ravaged the Serbian Orthodox Cathedral of Saint Sava. Parishioners watched in tears and horror watched as their beloved church on 25th and Broadway went up in flames. Now, the shell of the church is barely standing. More than 160 firefighters had to battle the 4-alarm fire from a safe distance away, as it was deemed too dangerous to enter the once inviting house of worship. Firefighters spent hours tackling the flames. White the fire was placed under control late Sunday night, they will work through the night to make sure hot spots do not get the upper hand. "It was an advanced fire, already involving the entire interior," said FDNY Commissioner Daniel Nigro. Eyewitness News is told the beautifully ornate church was packed on Sunday morning for Easter service - the day the Orthodox community celebrates the resurrection of Christ. Candles were lit, lunch was served, and then worshipers left. "We smelled smoke - once we came outside, the church was on fire," said Alex Velic. The historic church was built in the 1850s as an Episcopal church. The literary giant Edith Wharton was married at Saint Sava, and mentions the chapel in her book, 'The Age of Innocence. 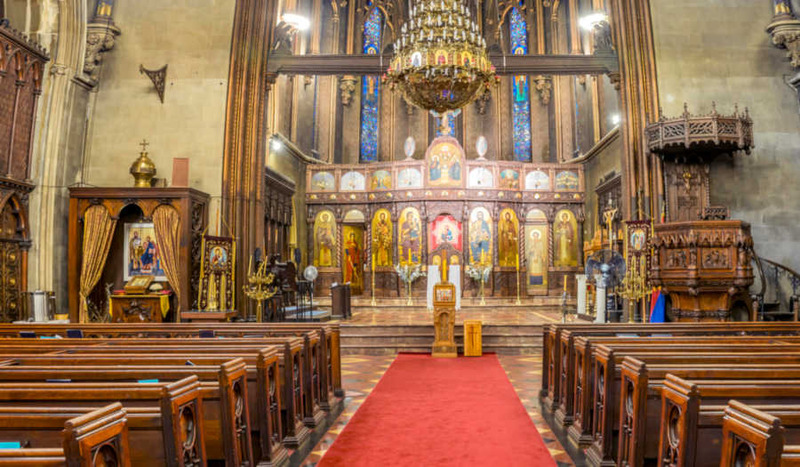 In 1942, the building was sold to the Serbian Orthodox Church for $30,000. Now, the stained glass windows are gone, and the artwork is in ashes. There is no word yet on how the fire started. Thankfully, the church was empty at the time. Only one person suffered minor injuries for smoke inhalation. Eyewitness News is told he was a caretaker, and had gone into the church to investigate the smell of smoke.